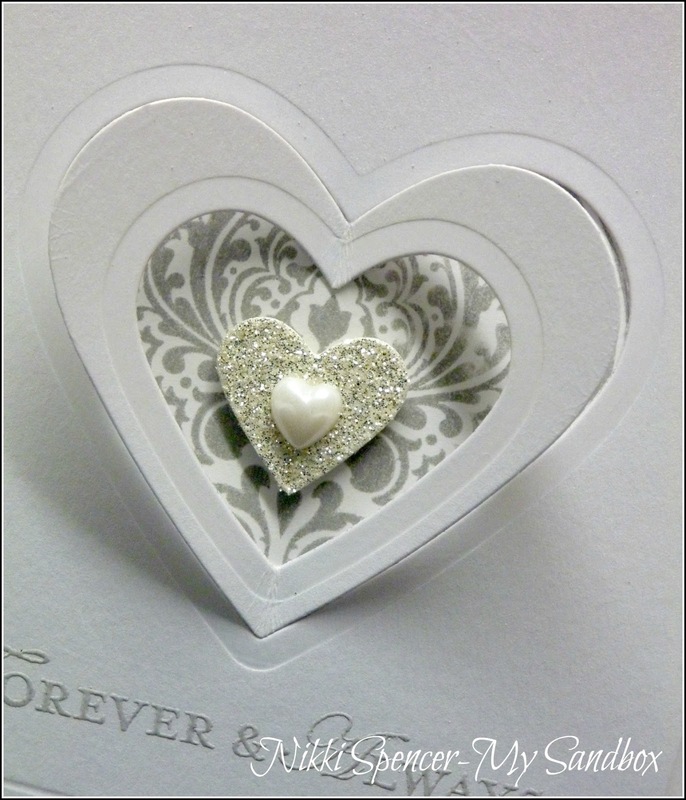 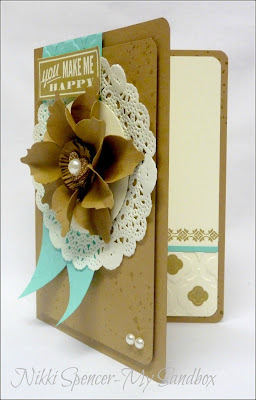 Afternoon!...Just popping in to share a Wedding card and gift tag l created recently, using the Heart Framelits and Beautifully Baroque stamp from Stampin-Up. 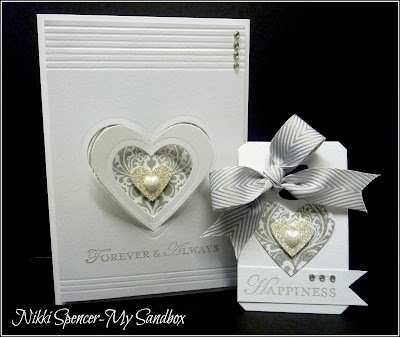 To create the heart window l used the "New Magnetic Platform" to make some multiple die cuts and it works a treat...yay! 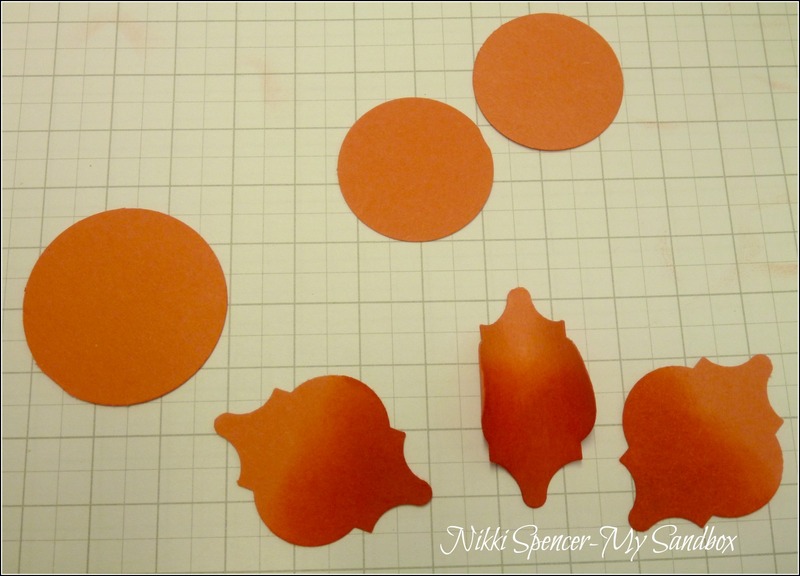 No more tape or fear of my framelits moving and l love that it saves time by cutting more than one shape at a time....Way to go SU...it's an awesome addition. 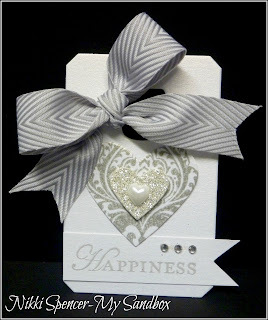 I also added some of the yummy new Chevron ribbon and embossing powder in Smoky Slate...Perfect for a subtle colour addition. 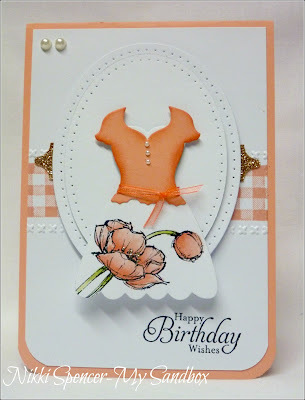 This card is my Shelli inspired creation...:0) After seeing the gorgeous cards Shelli presented at Convention, l really wanted to have a play in that style and see what l could come up with....and this is the result! 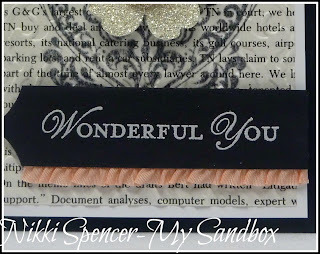 I literally took a leaf out of Shelli's book a used an old book page as my DSP layer, just as She had done on one of her projects...:0) That and because l had no book print limited addition DSP left and my dictionary background stamp is yet to arrive! 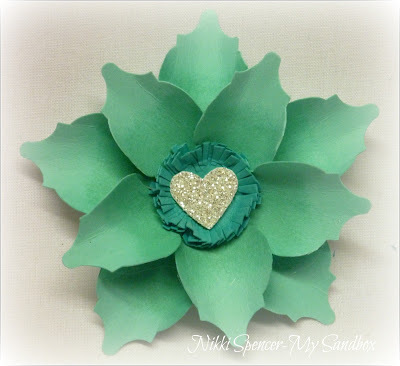 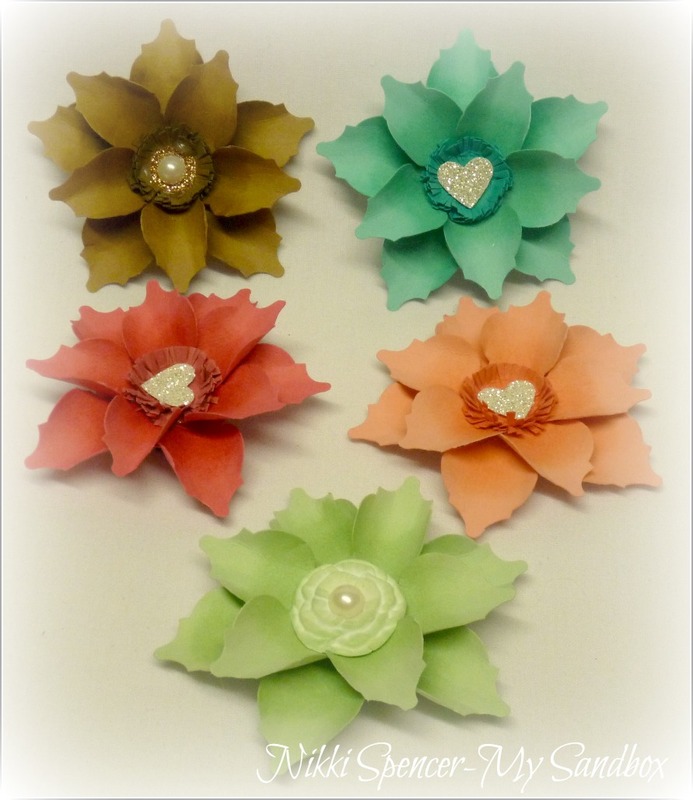 I also got to use one of the many cute little paper clay flowers I've been making. 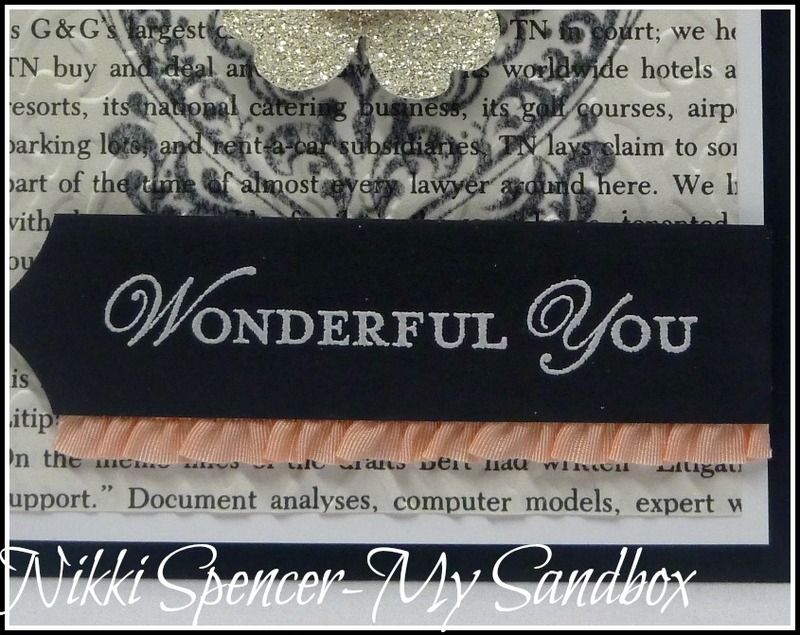 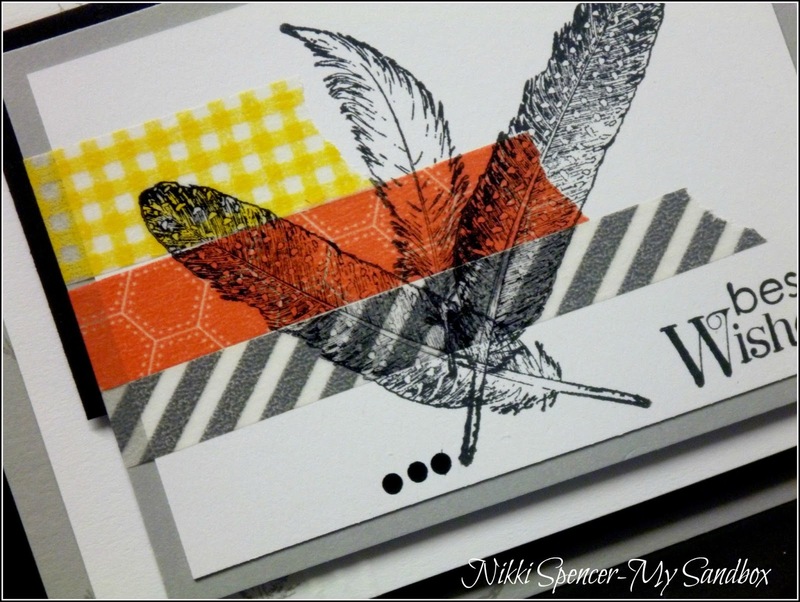 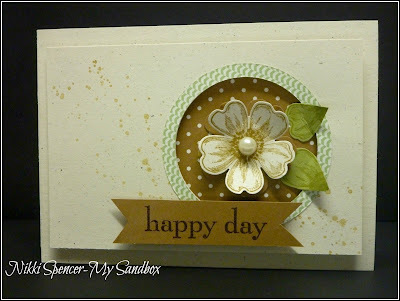 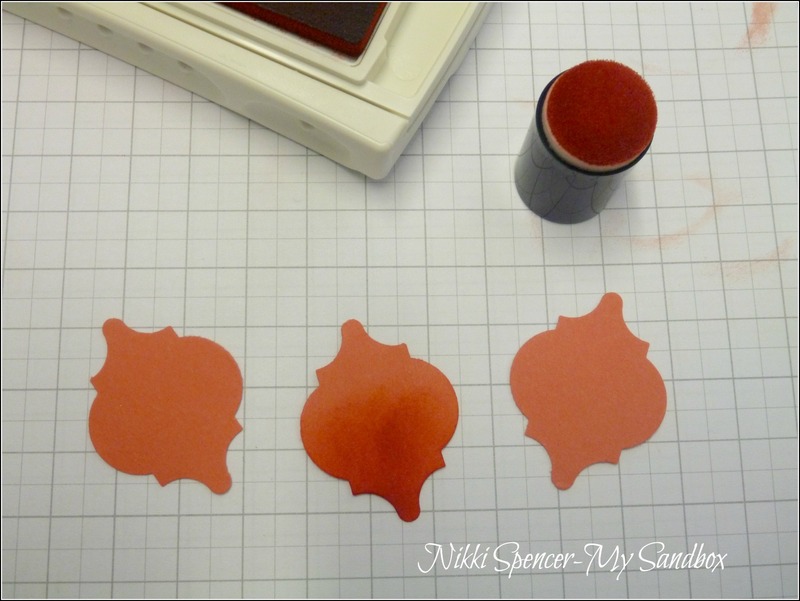 "Thanks for stopping by & enjoy your week"
All supplies used are Stampin-Up unless noted. 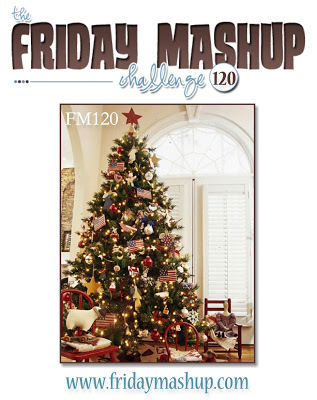 Evergreen, Friday Mashup & Festive Friday Challenges.. 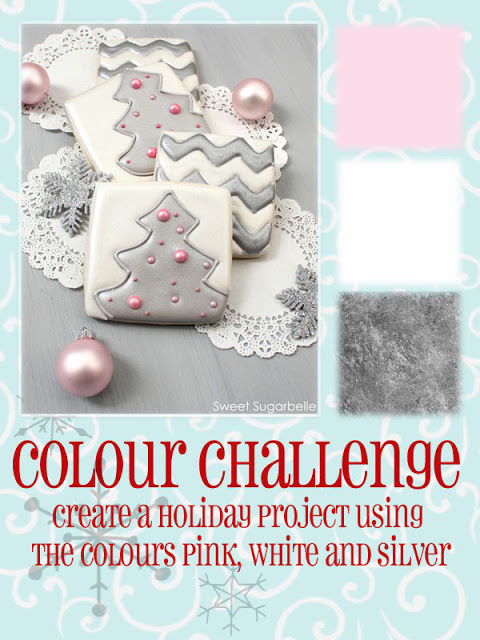 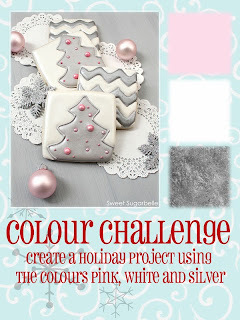 While scrolling the net today, l came across two challenges that l thought would work well together and as l still scrape in for a Christmas in July card, l thought l would play along....Here's what l came up with using the Festive Friday colours and the Friday Mashup challenge of Christmas and/or stripes. 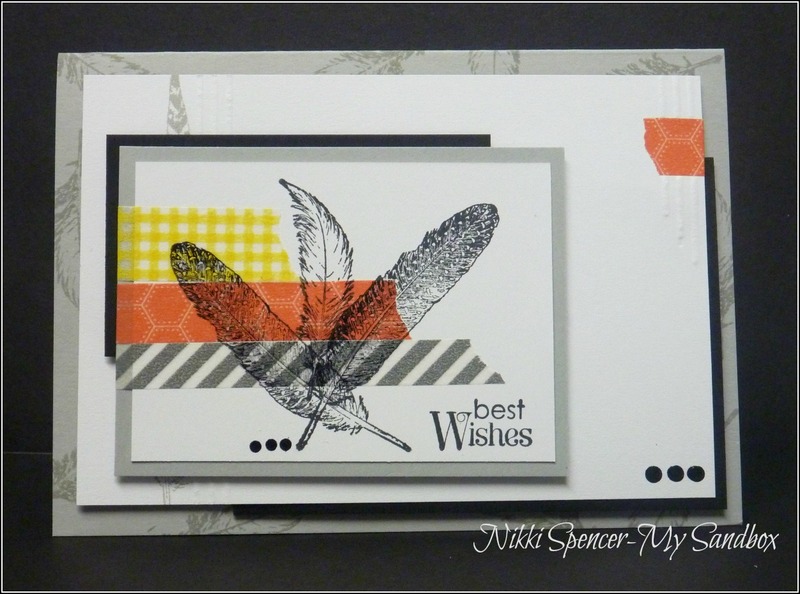 It's time to share our fun "Sketch" challenge over at Just Add Ink. As you can see l had some Washi fun! 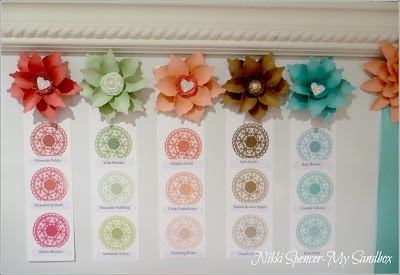 Thought l would share a pic of my display board flowers, with colour comparison strips below each one. So, as promised l have a very simple step by step to show you how l made them....they are very simple! Step 2: Using your stylus or piercing tool, roll each shape around the slimmer end to form a tube shape. Step 3: Punch out 1x 1-3/8" circle & 2x 1" circles. 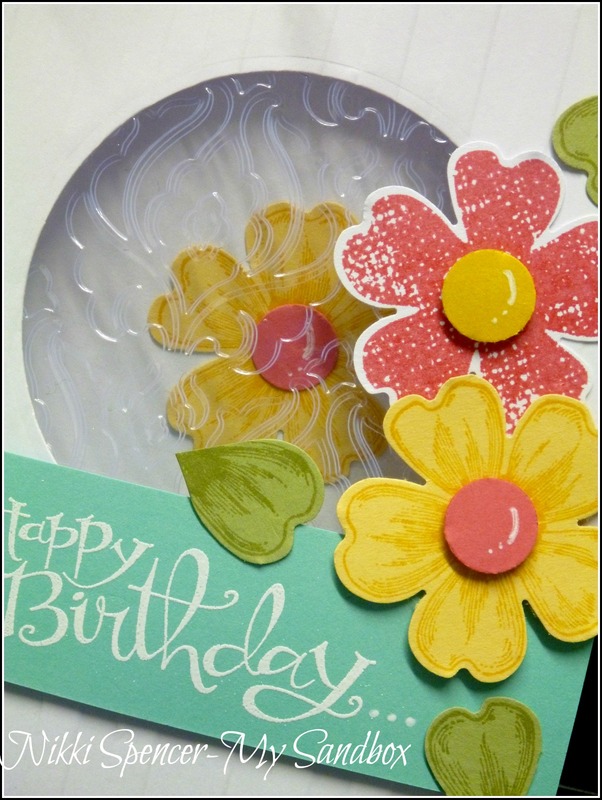 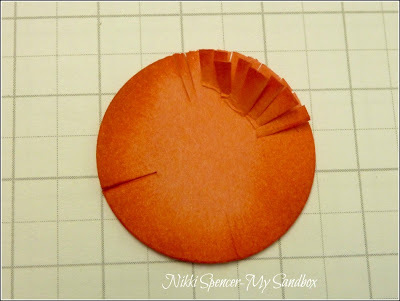 Step 4: Using a small piece of tape, join the two 1" circles together in the center and snip all around the edge to create your flower center. You can also sponge the edges at this point. 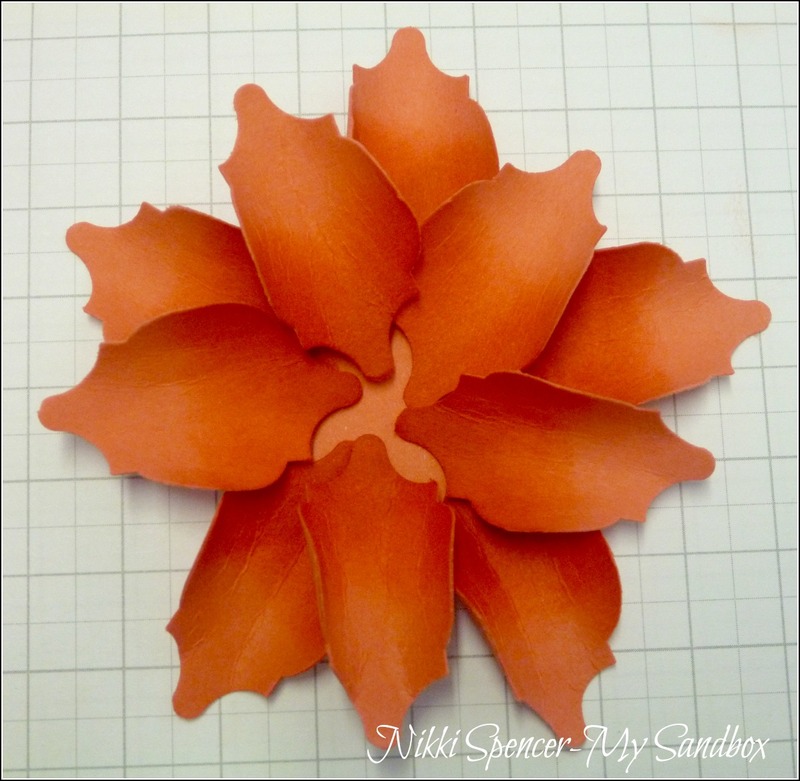 Step 6: Repeat with the last 5 petals slightly in towards the center and in between the other petals. Step 7: The final step is to add your 1" circle piece and any embellishment to the center and a magnet if you wish. 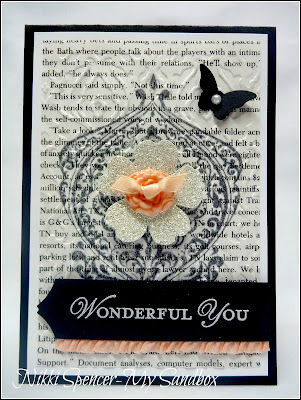 "Thanks for stopping by & enjoy"
How pretty are these colours! 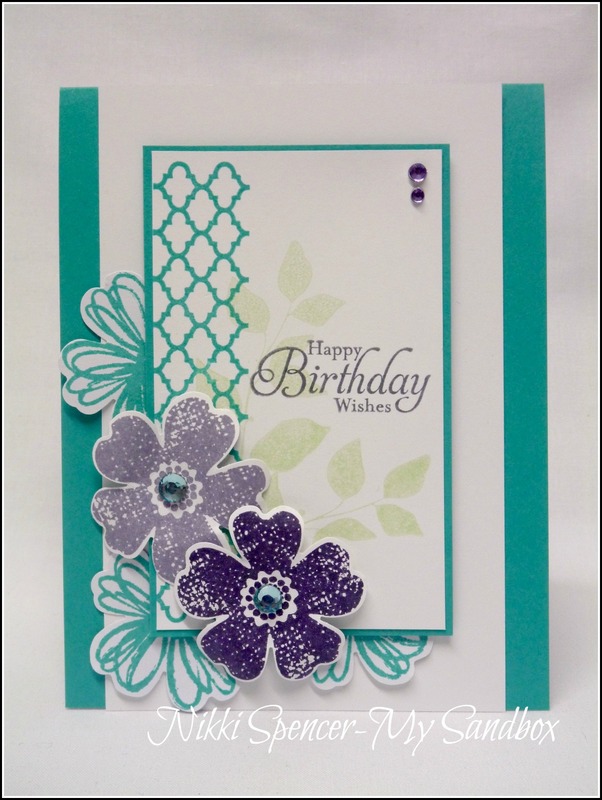 They are our challenge over at Just Add Ink this week and the design team have used them beautifully, so don't forget to pop over and check them out. 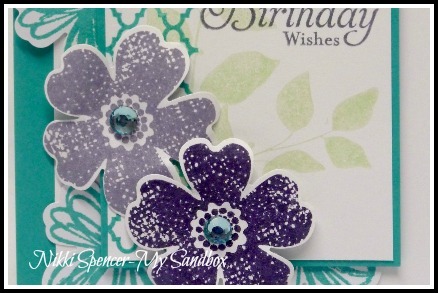 I really wanted to use the Mosaic Madness punch to create a flower...and l did..:0) This is what l came up with and l'm really pleased with how they look, so much so, l made one in every one of the new In-colours, and attached a magnet to the back, to use on my display frame at my Catalogue launch. I will do a post shortly with a pic of those and a step by step photo tutorial on how l made them, so don't forget to pop back if you want to know how! 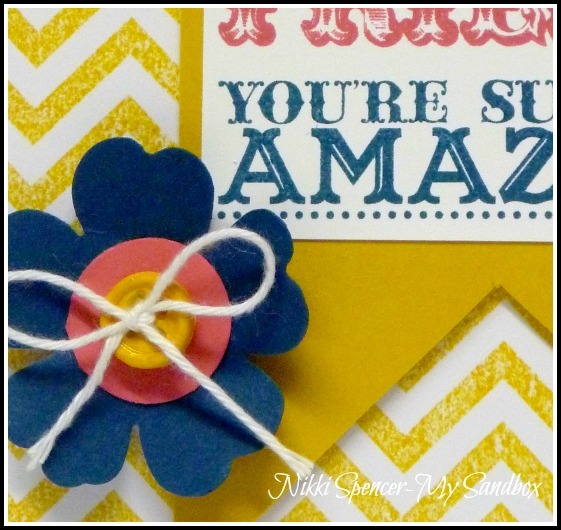 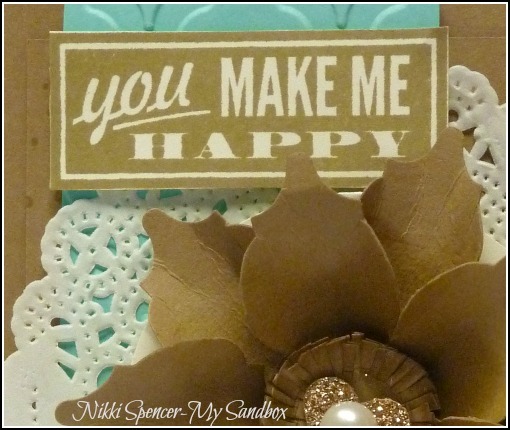 It's week 2 over at "Online Card Classes" and l must say, l am thoroughly enjoying this round of "Summer Card Camp". 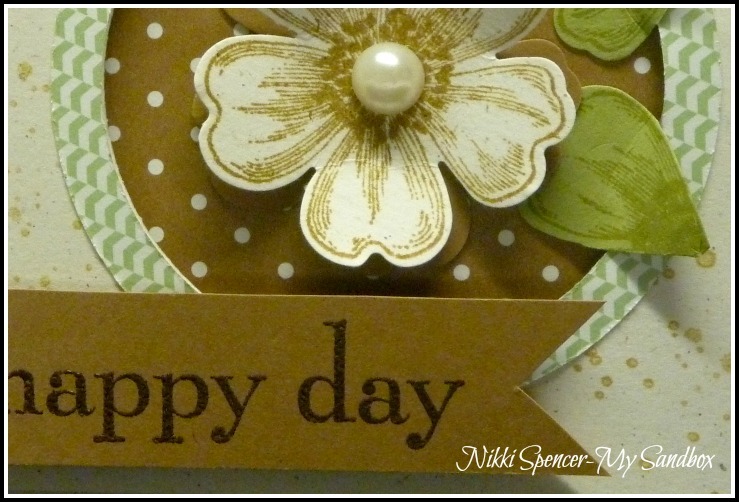 It's just a shame it's not a little more summery here, although we are enjoying some beautiful sunny winter days at the minute, so l can't complain. Today's card uses the new colour combination for this week and was inspired by the card shared by Jennifer McGuire. Today's card is a technique shared by Kristina Werner. 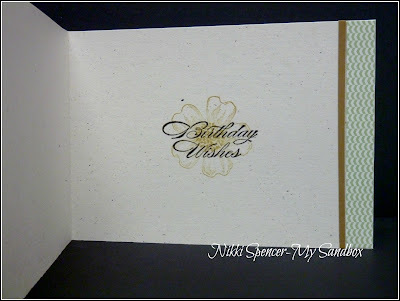 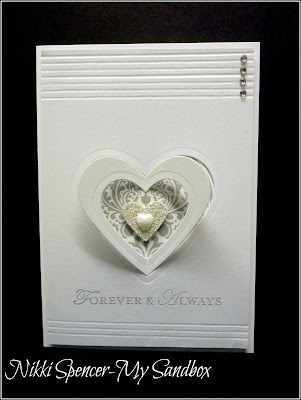 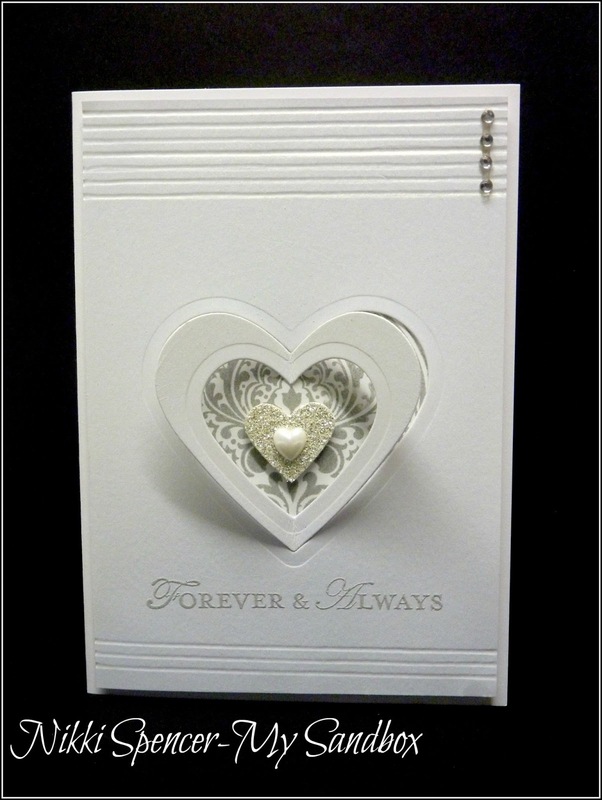 Embossing window sheets to create a lovely see through feature panel on the front of a card. I'm really pleased with how this one turned out, l did opt not to use DSP on the inside layer, rather adding an extra flower in there instead. 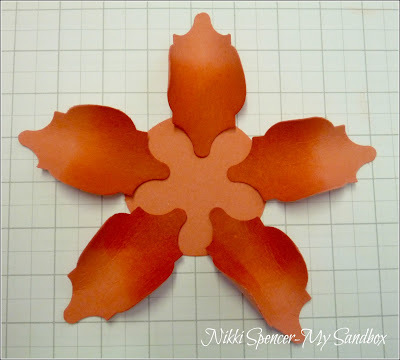 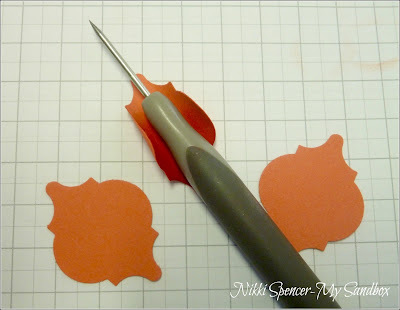 I also used a punched flower stamped in Pear Pizazz and cut it up to create my leaves. 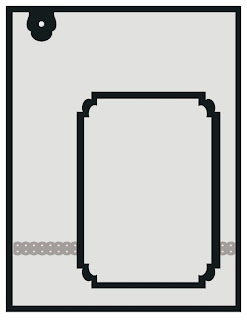 Lucky me got some playtime in, on this chilly Melbourne day!.....Perfect timing to play catch-up on my homework for class. 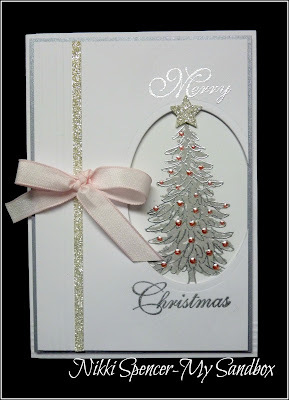 I created this card for Day 4....the criteria was, create a card in "10 Minutes" or less. As l was running behind, l also got to see and use a new colour combination from Day 5...which was the second last one on the list! 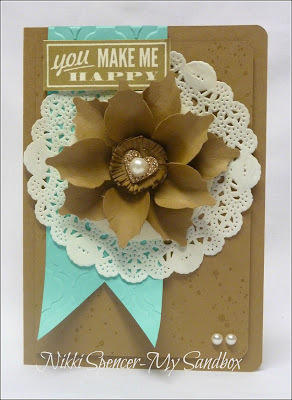 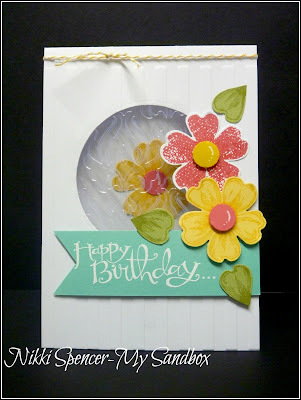 The new "Flower Shop" bundle from SU is heaps of fun and super easy to create with. 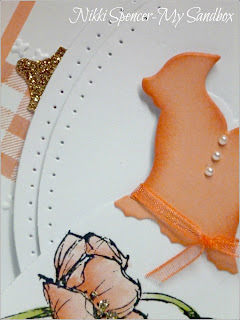 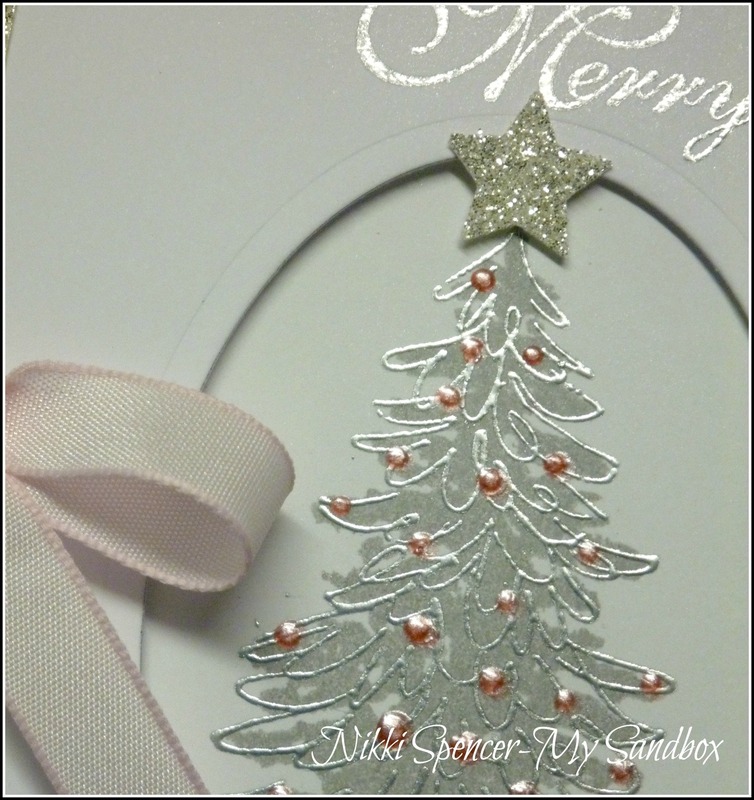 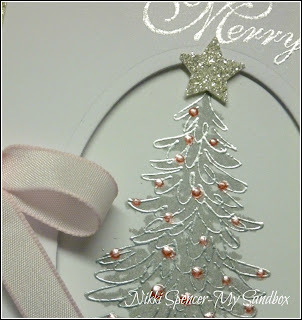 This card took just over 8 mins to make, which was perfect for a 10 Min challenge! 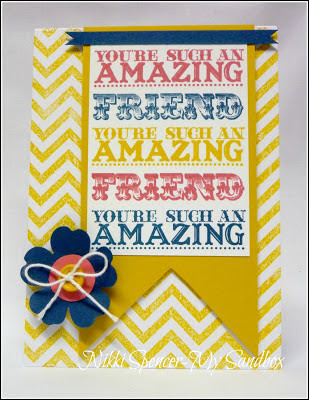 Running a little behind with my homework, but hope to play catch up over the weekend..:0) But, l do have a card to share using another fun technique of multi coloured greetings and using #1 sketch and the colour palette. Although l have opted for a darker than Aqua blue. 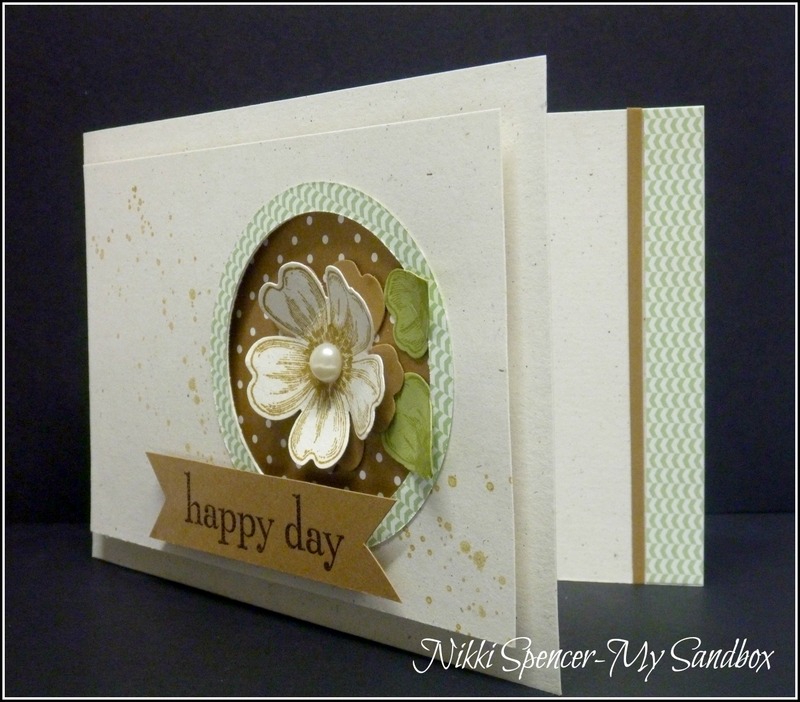 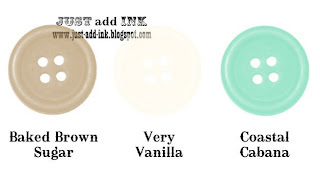 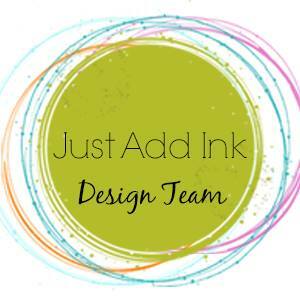 This weeks challenge over at Just Add Ink is to "Just Add Water". 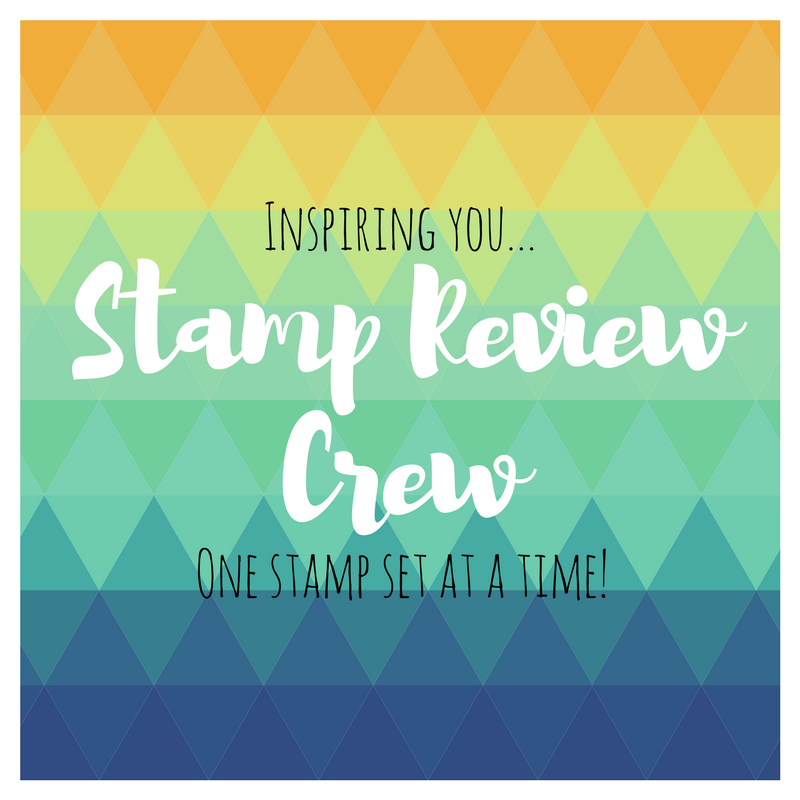 The story behind this weeks challenge, comes from this complimentary water provided by the apartment that the JAI girls stayed in recently, when we attended Stampin-Up's Convention in Brisbane last month. 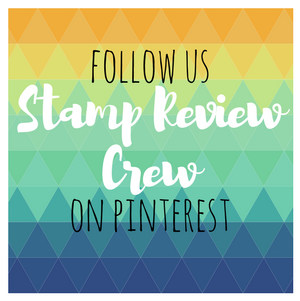 We had all been drinking it for the 5 days we stayed there and while waiting at the airport on the way home, Christine noticed the writing on the label....pretty cool huh! It was made just for us!.... Not really, but it's pretty apt considering..:0) Hence the idea for this weeks challenge! I added water to this weeks card, by water colouring the lovely flower from the new hostess set, called "Simply Sketched"...using Crisp Cantaloupe ink & an aqua pen.